Does accepting payment by bank wire or by cheque takes too long? Try our Prestashop Adyen Payment Gateway module and receive the payment in minutes. Prestashop Adyen Payment Gateway:- Adyen payment gateway is a popular globalized payment method. 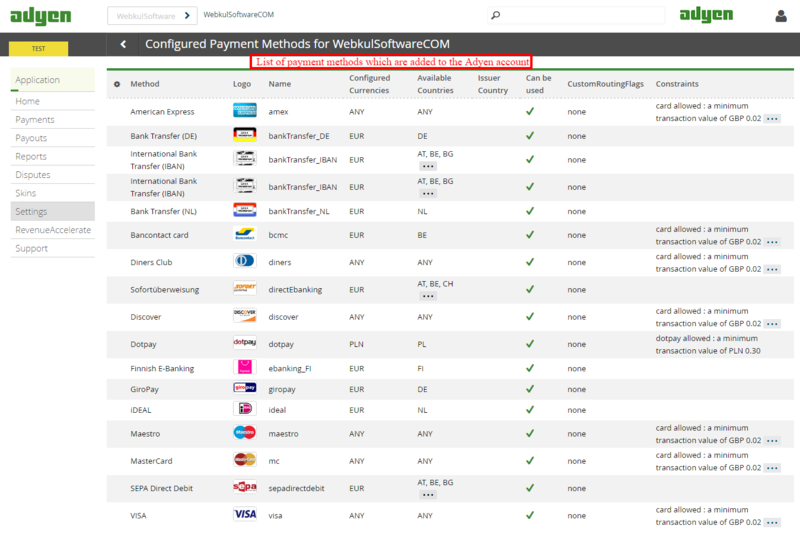 With this module, admin can easily provide a new payment gateway named as “Adyen” to their customers for standard as well as subscription-based products. Buyers can pay the order amount through this payment gateway and for the subscribed products the collection of payment will be done directly from the customer’s account based on the plan subscribed by the buyer. Admin can even refund the product amount through the module if the buyer has requested for the refund by any means. Online payment via Adyen Payment Gateway. Reliable, Secure and Easy to use. Different payment methods are available for the customers to pay. Admin can configure the module for test purpose or for live mode. Admin can also view the order detail by clicking on any of the order from the list. Admin can refund either full or partial amount to buyer. 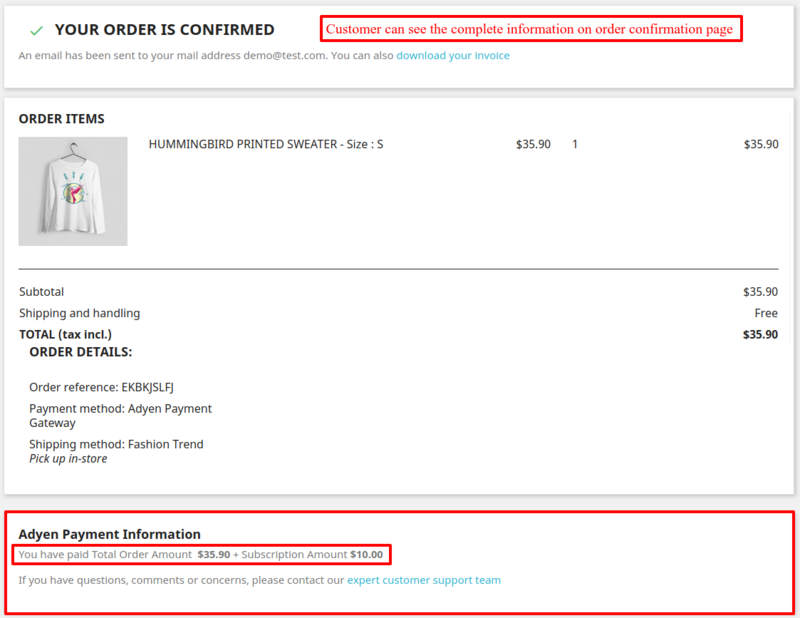 Admin can specify the amount for partial refund. The refunded amount will be updated on the order detail page. 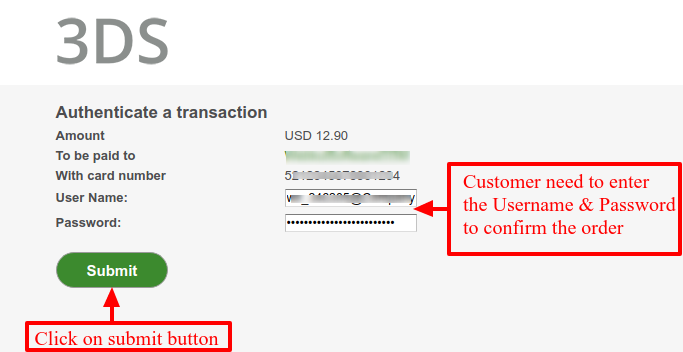 Admin can enable/disable the “payment through HPP (Hosted Payment Pages)”. If payment through HPP is enabled, then customer will be redirected to Adyen site to complete the payment. 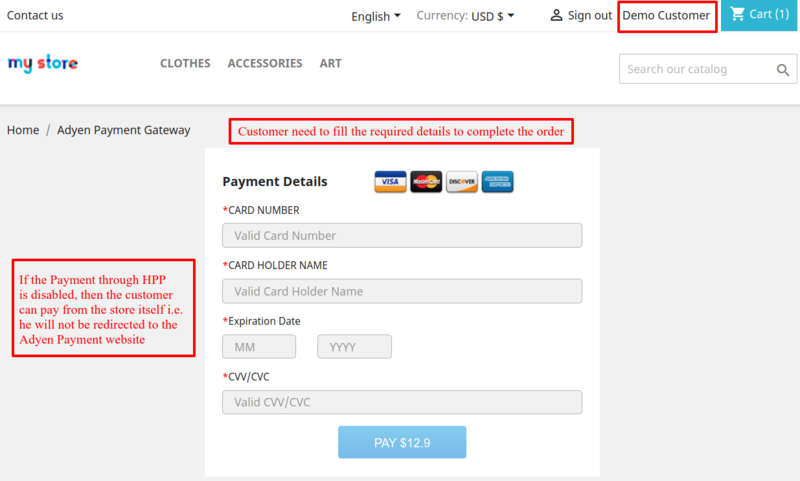 If “payment through HPP” is disabled, then the custom form will open on the website itself to make the payment. 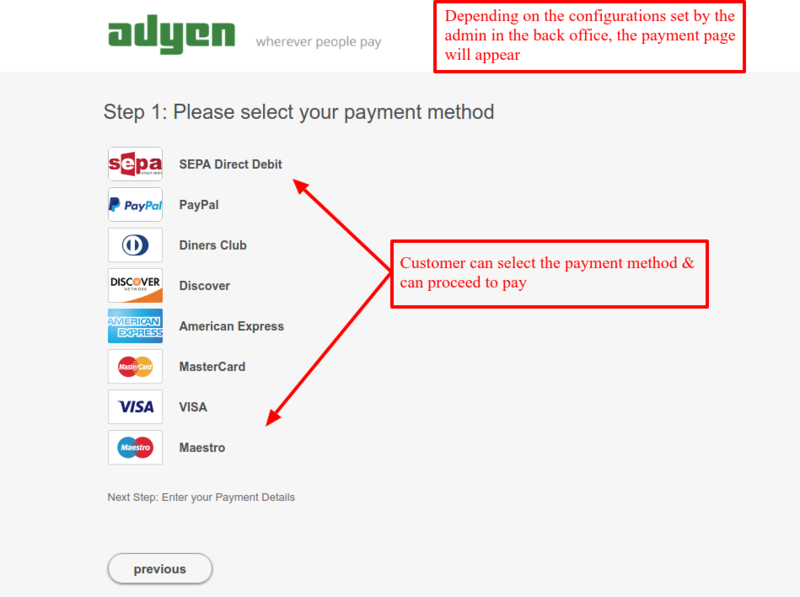 Admin can create the Adyen plan and specify the plan name. As per the subscribed plan, the subscription amount will be deducted from the buyer’s account. Admin can assign plans to products in two ways. Admin can view the list of subscribed customers. Admin can also cancel the subscription of any customer. Subscription is only possible through Adyen payment gateway. 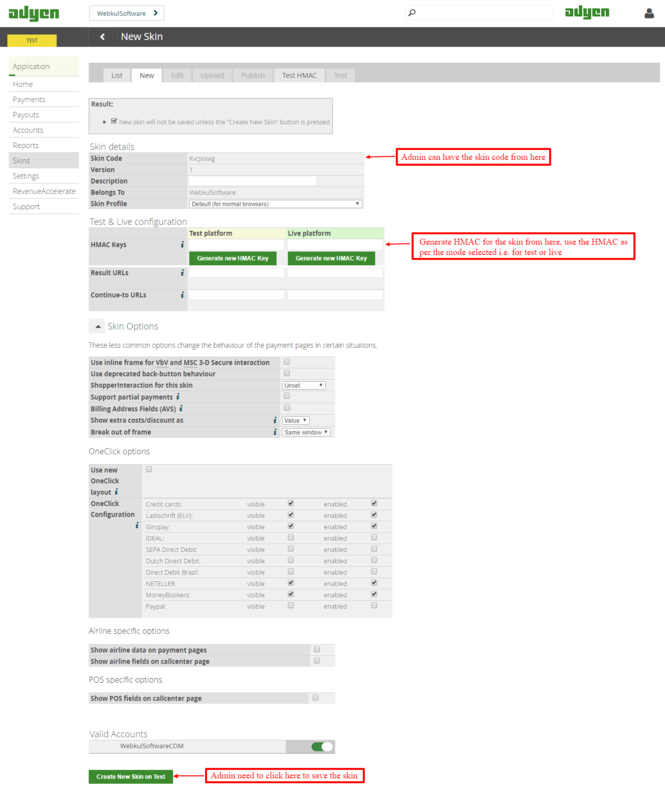 Customer can view the list of subscription in a new tab named as “My Adyen Subscription”. 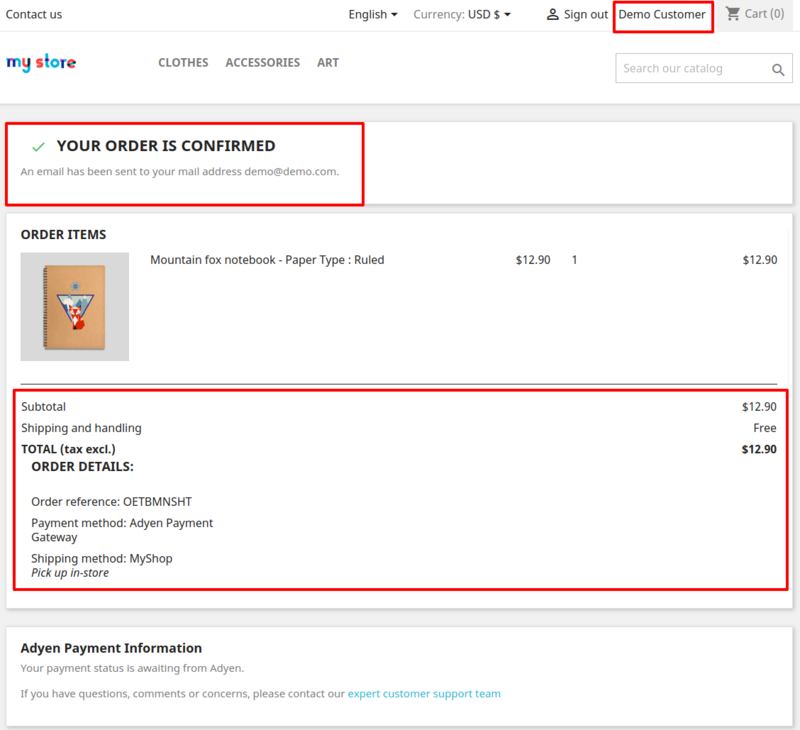 The amount displayed in the cart is only the product amount. 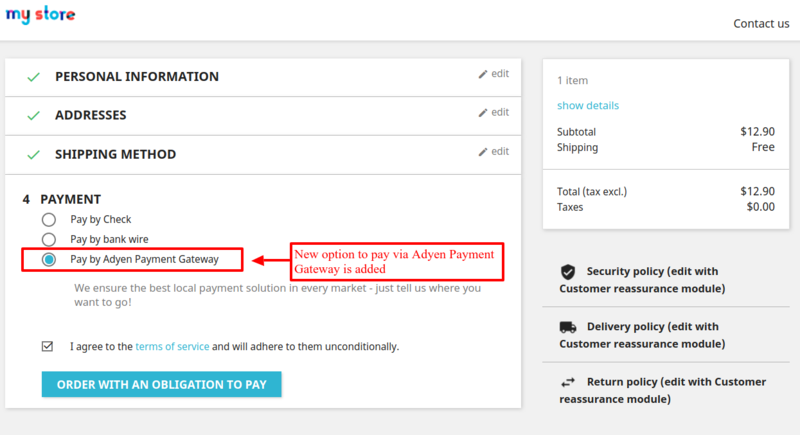 The subscription amount will automatically deducted while paying through the Adyen gateway. 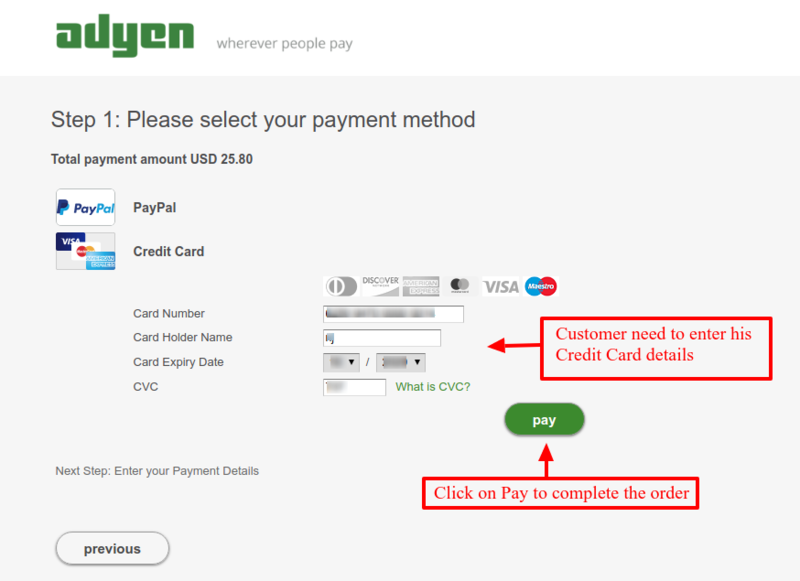 The detail of full payment made by “Adyen payment gateway” will be displayed on the order confirmation page. Admin can view the subscription details in the buyer’s order detail page. 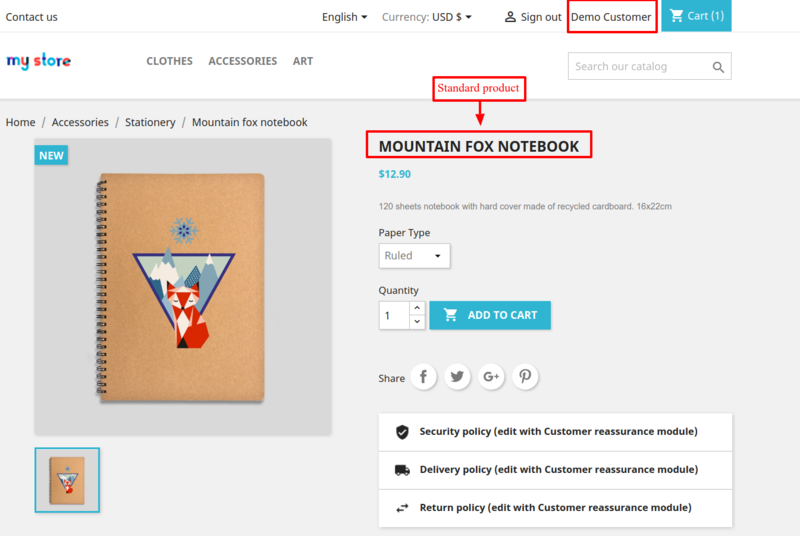 Add chosen option for creating product subscription in Back office. Admin must use notification URL in his/her CA account for getting order as ‘Payment Accepted’. If customer is using 3D secure card, he/she need to authenticate by entering the username and password. After successful installation, admin has to configure the module. Admin will provide all the Adyen API details here. Admin can use the module either for test or live purpose. In this way admin can successfully configure the module. For recurring payment according to plan, Admin has to set CRON job for everyday. Set following URL to CRON tab. You have to replace the string “www.sitename.com” with your site link. 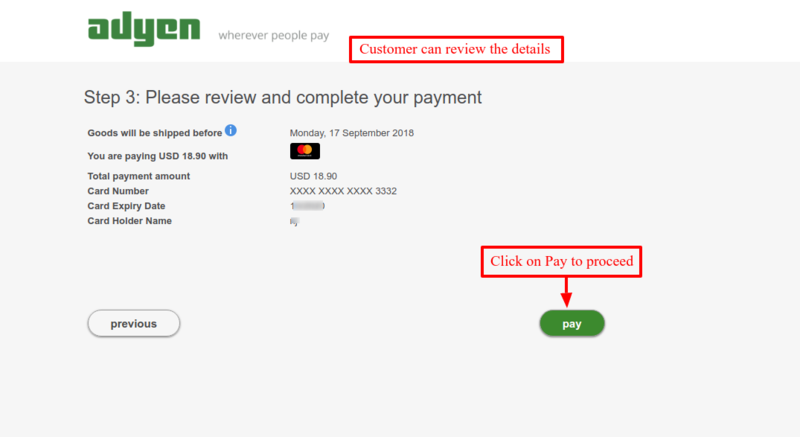 Admin has to enter the Notification URL on the Adyen Payment site in order to generate the orders with the order status as “Payment Accepted” otherwise order will be created with the order status as “Awaiting Adyen Payment”. 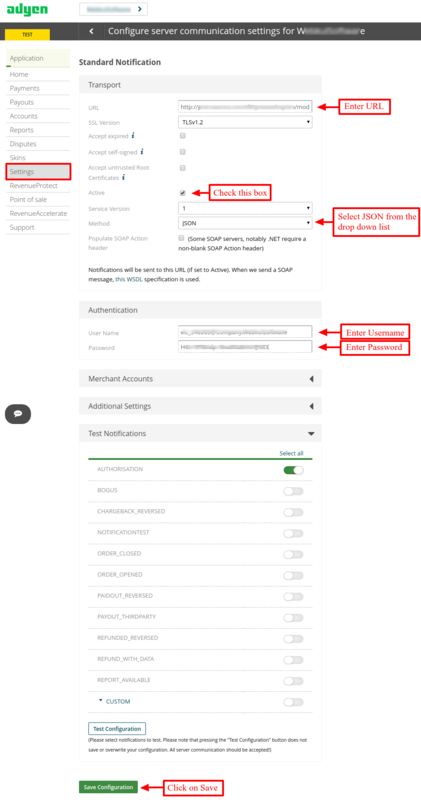 Admin can add notification URL by following the path written below : CA Account -> Account -> Server communication -> Add Standard Notification. 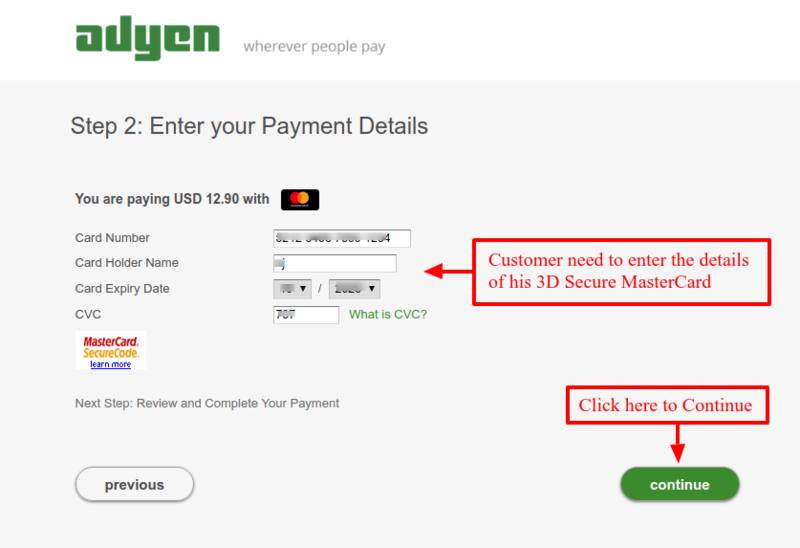 To get the API’s of Adyen Payment Gateway, admin has to create an account on Adyen payment gateway. Admin can create/signup to their accounts from the following link https://www.adyen.com/home/discover/test-account-signup#form Admin can login to their accounts from here- For Test purpose– https://ca-test.adyen.com/ca/ca/login.shtml For Live purpose- https://ca-live.adyen.com/ca/ca/login.shtml Client Encryption Key – Admin has to fill client encryption key, if admin is using the custom payment form i.e. the payment through HPP is disabled. If admin has enabled the HPP, then admin need the skin code and HMAC key. 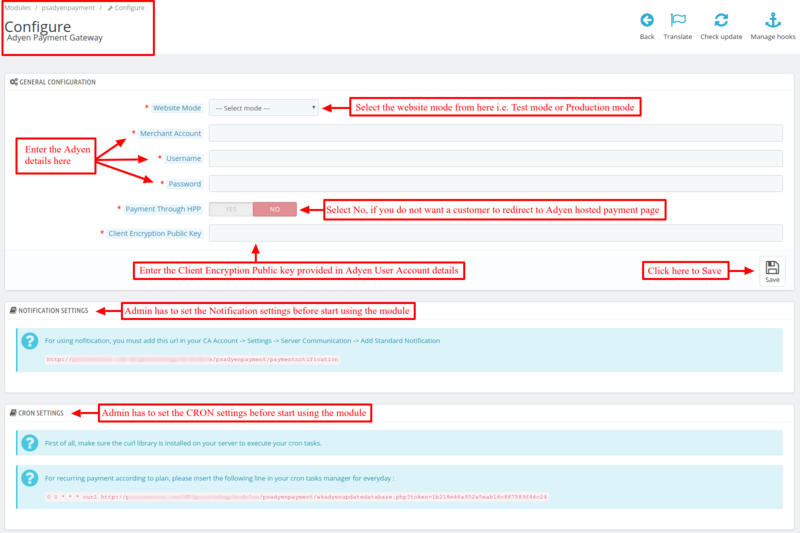 Follow the steps as mentioned in the screenshots – This is how admin can get all the credentials required to set up an Adyen Payment Gateway. 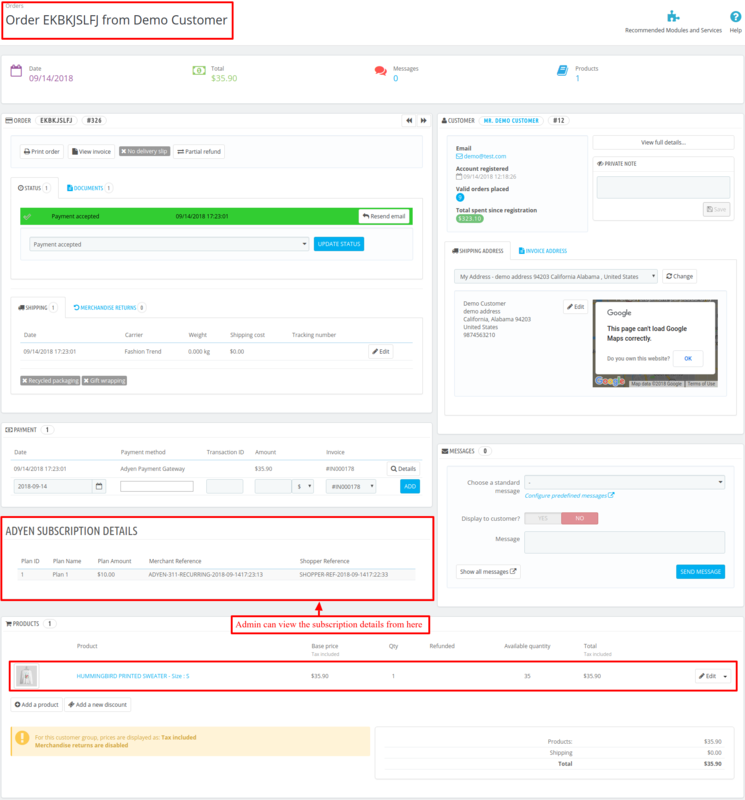 Once the module is successfully installed, a new tab “Manage Adyen Payment” is added in the back office following by 4 new tabs. To manage the recurring payment method, admin has to create various plans for subscription. 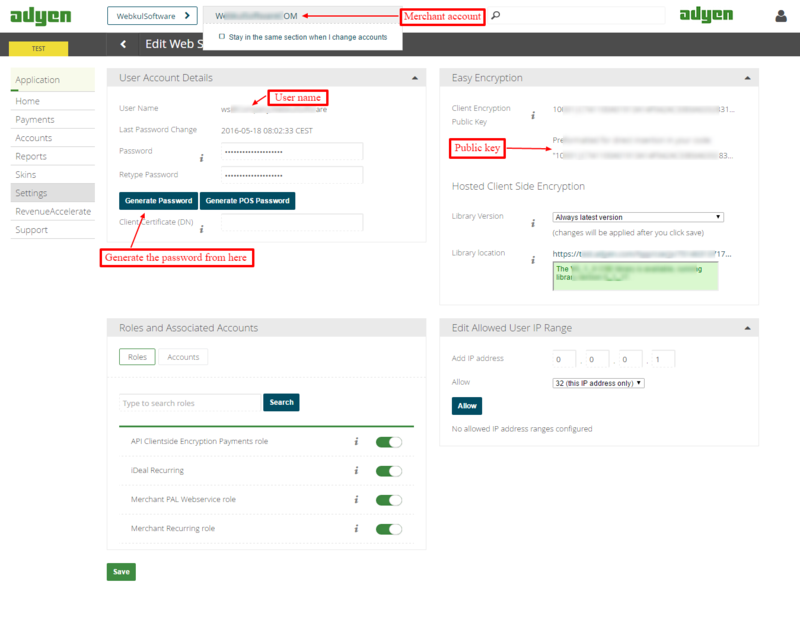 Go to Adyen Payment Gateway -> Manage Adyen Plan Once the admin clicks on the Create Plan, a new page will open where admin will have to enter the Plan details. Admin can view the list of those customers who have purchased the product with subscription plans. 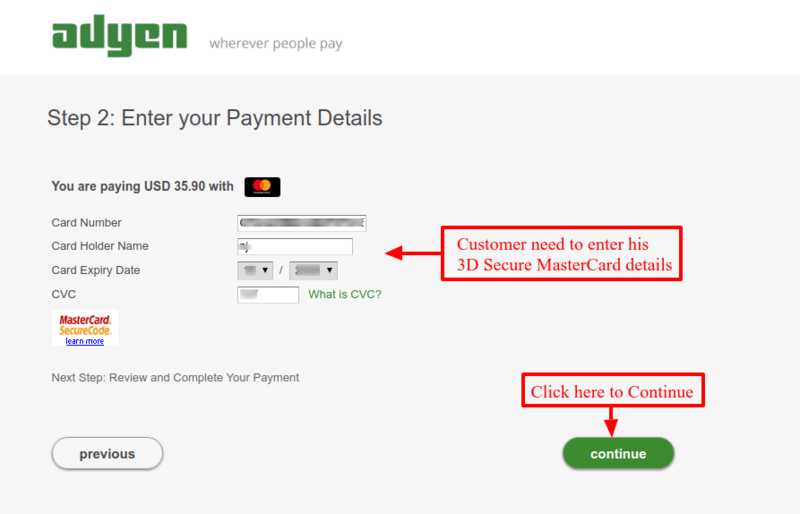 Once the module is configured properly, buyer can view the Adyen payment gateway to make the purchase on store. Now, if admin has enabled the payment through HPP, then customer will be redirected to Adyen website. Payment Selection is set to Multi Page If the customer selects MasterCard If the customers pays via his 3D Secure MasterCard. With 3D secure cards, customer will be asked to enter the Username & Password to reconfirm the order. Order will be created. 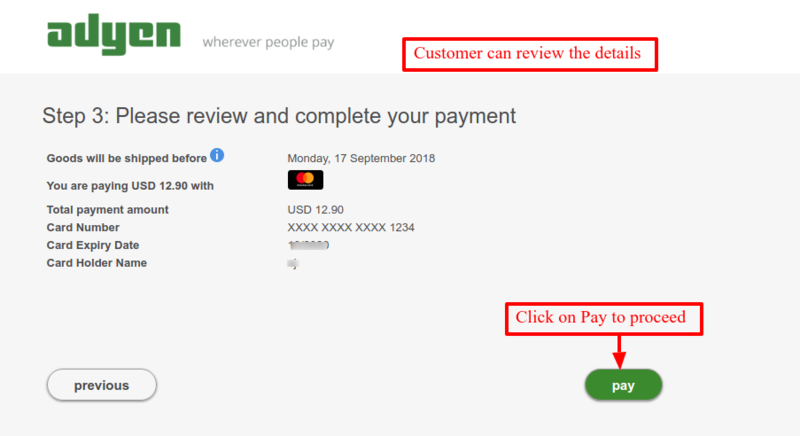 Payment Selection is set to Single Page If the payment through HPP is disabled, then the customer will not be redirected to the Adyen Payment site instead a customer can pay from the store itself. Once the order has been placed, admin can view the detail of Order. Payment status will be shown as Awaiting Adyen Payment if admin has not set the Notification Settings. Payment status will be shown as Payment Accepted if admin has set the Notification Settings. 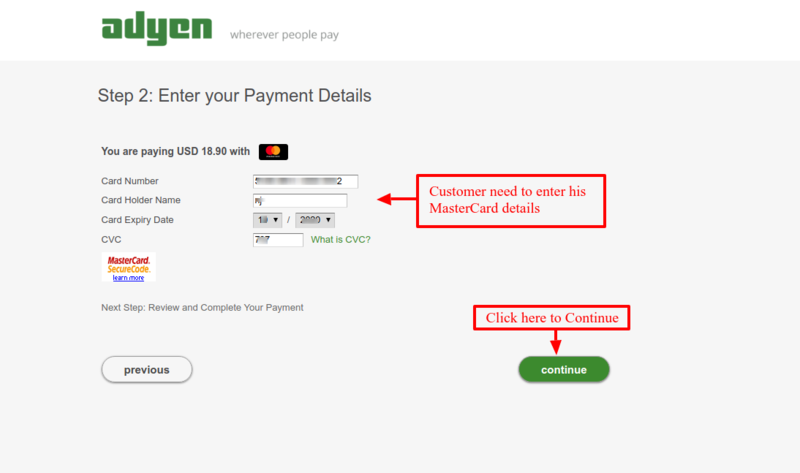 In this way the customer can order using Adyen Payment Gateway. 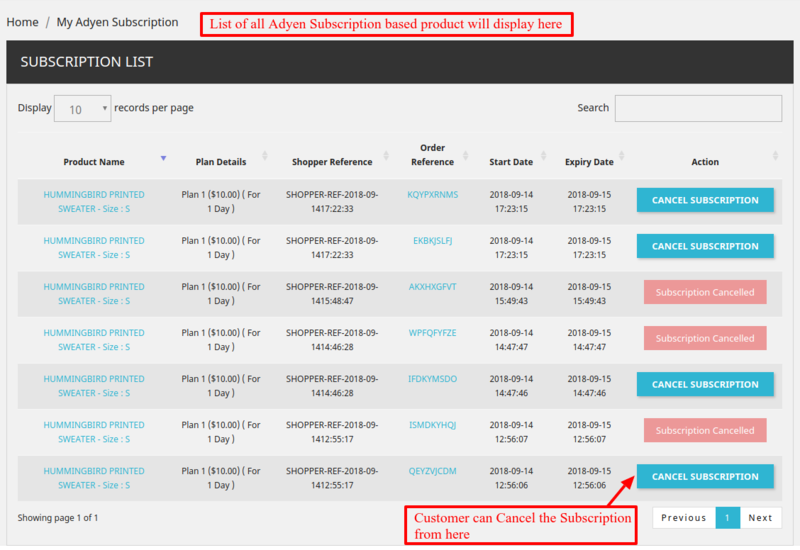 In this section, admin can view the list of customers who have purchased the Adyen Subscription based products. 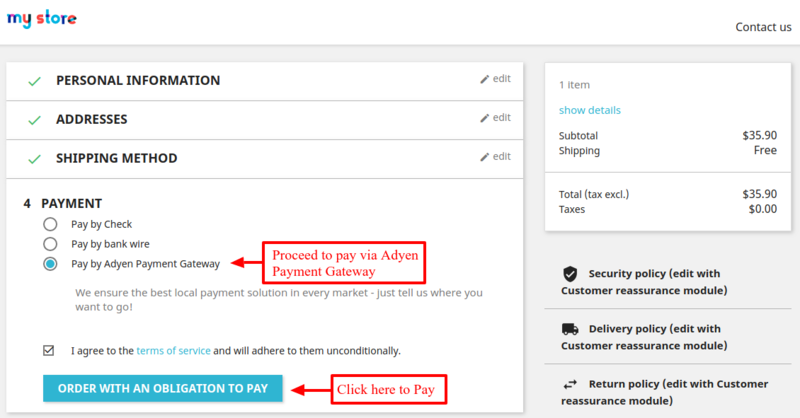 In this section, admin can view the list of orders whose payment has been made through Adyen Payment gateway. 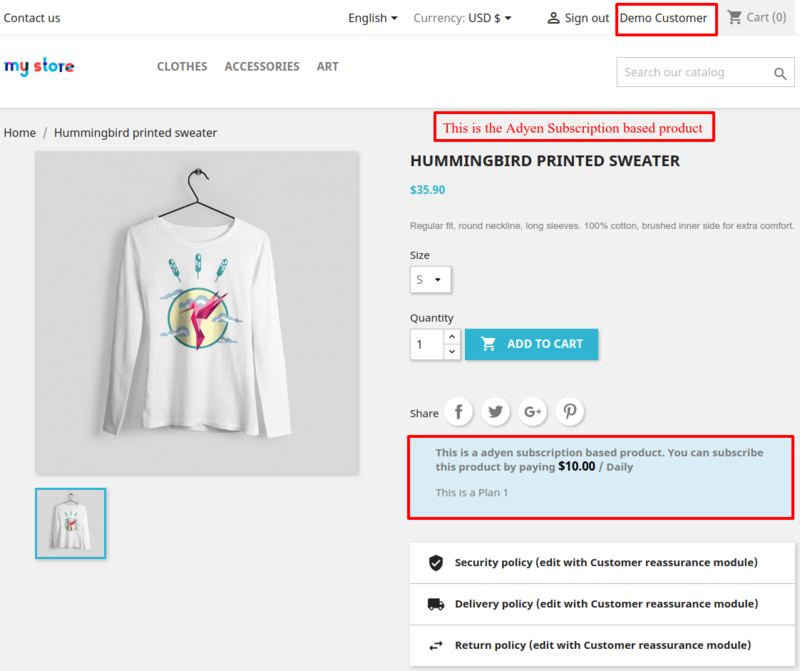 On clicking “View Details” Now admin can refund either full or partial product amount to buyer, if buyer has requested for the refund by any means. Admin can view the Refund details in the Order details page only. 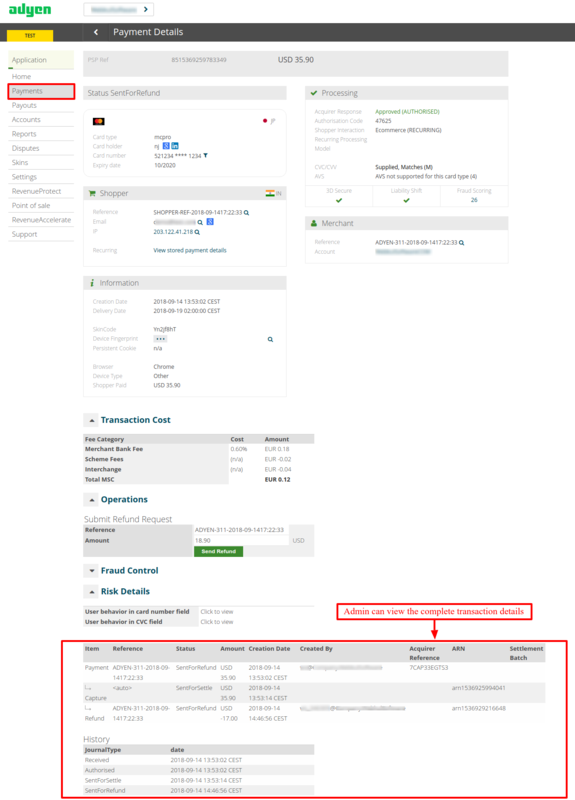 Admin can see all the details in the Adyen account also. 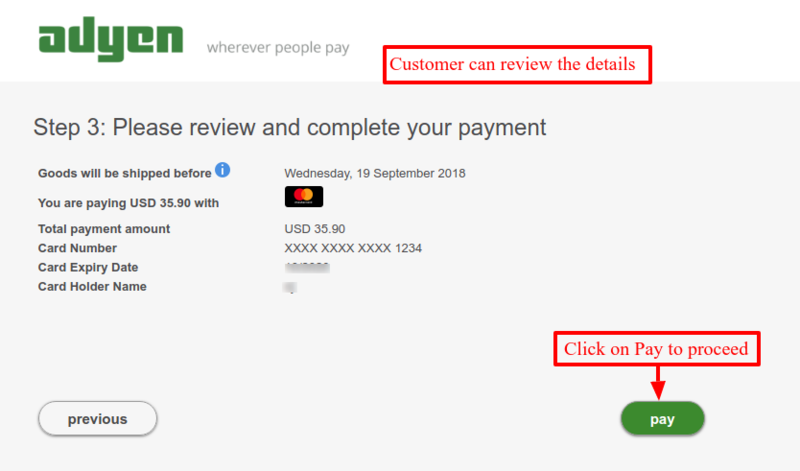 Admin can see the refund details on Adyen Payment site as well. Buyer can view the list of their subscription in the new tab. Go to My Account -> My Adyen Subscription In this way, admin can successfully provide subscription based products to buyers. Buyers can easily make the payment for the same and the amount will automatically deducted from their Adyen account regularly as per the plan. 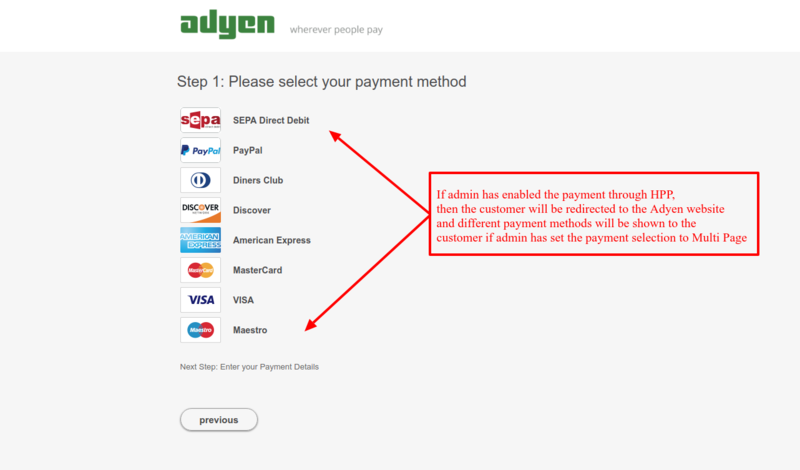 To check which of the payment methods are available with the Adyen payment gateway, admin can go to Adyen account -> settings -> payment methods If admin want another payment methods with your Adyen payment gateway, then admin need to contact Adyen for the same.